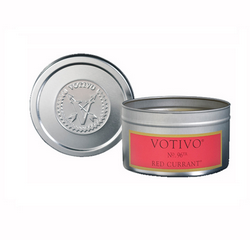 This month we have partnered with our friends at gorgeous candle company Votivo. For those of you who have not yet tried their beautiful products, we are giving all customers a free mini candle when you rent a dress from Girl Meets Dress. The girls at GMD all love having a beautiful candle burning while getting ready for a night out… turn up the music and get ready to party! We have 5 different fragrances to share with you… and perhaps you will be lucky enough to collect them all! Packaged in a cute tin, this mini candle is perfect for the home or travelling. A mini sample tin will be included free with every order, while stocks last. Expressing a vow, wish, or desire. Since its inception in 1994, Votivo has built a reputation for its quality fragrances and distinctive packaging. At the heart of every Votivo candle is a unique fragrance meticulously formulated and layered to reflect depth, richness, and complexity. Posted April 6th, 2012 in Inside GMD, Uncategorized, Website News.